It’s obvious to us that objects moved by a gentle breeze must be light, and those that don’t move are heavy, but can animals make this deduction? In the case of New Caledonian crows, the answer appears to be yes. Jelbert and her colleagues first trained 12 crows to discriminate between light and heavy objects. Six birds were rewarded when they dropped light objects into a food dispenser, and six were rewarded for choosing heavy objects. 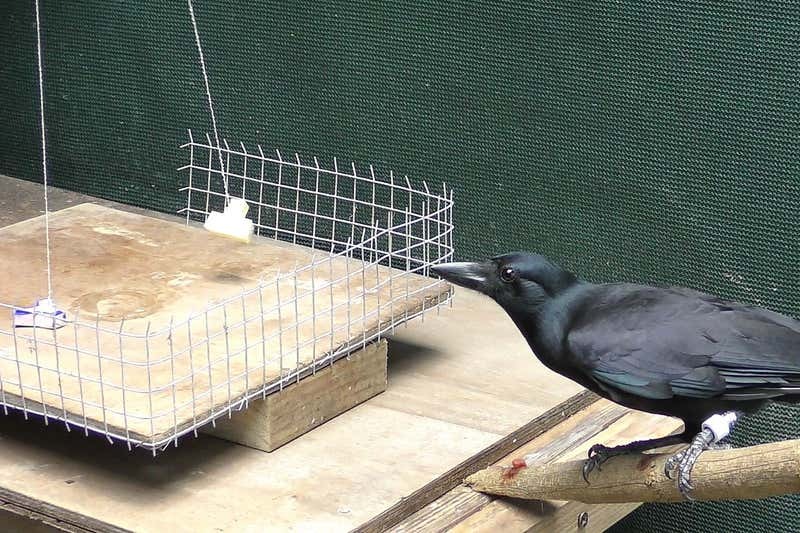 During this initial training, the birds were able to touch and pick up the objects. Then pairs of unfamiliar objects – one light and one heavy – were suspended from strings in front of an electric fan before the birds could interact with them. After seeing how they moved in front of the fan, the birds touched the correct object first, according to the rule they learned earlier, in 73 per cent of tests. If the test was done with the fan switched off, the birds did no better than chance. 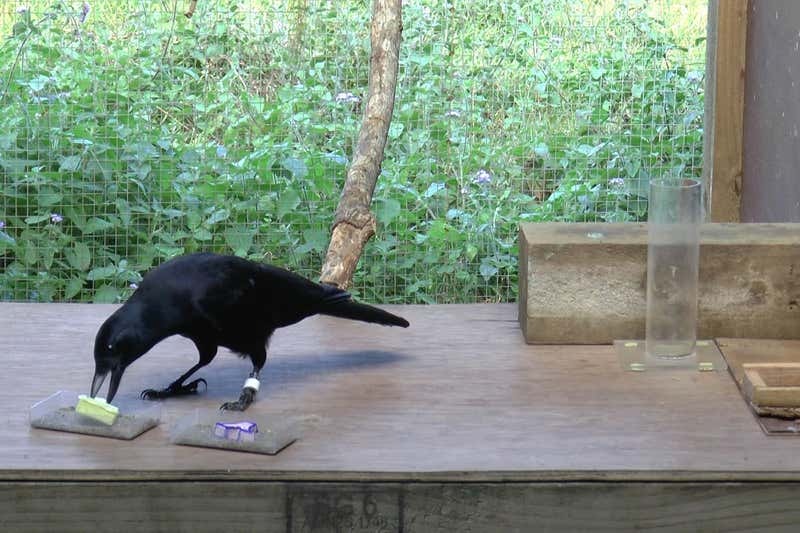 New Caledonian crows are famously fast learners with particularly impressive tool-making skills. In the wild, they often drop nuts on the ground to crack them open. The weight of a nut can indicate whether it’s good to eat, or rotten, so being able to infer weight by observation could be useful to them while foraging, says Jelbert. More generally, an understanding of weight would help any animal to assess risk, such as the danger of heavy objects falling on them. This test has never been done with any other animals, so it’s unclear how widespread this ability is. Some researchers have previously claimed that only humans have a full, generalisable concept of weight. This stemmed from experiments in which chimpanzees failed to make predictions about how objects behave based on their weight. However, these tests were more complex, and there are other possible explanations for the chimps’ failure, says Jelbert.